Andy Fish has the right idea. 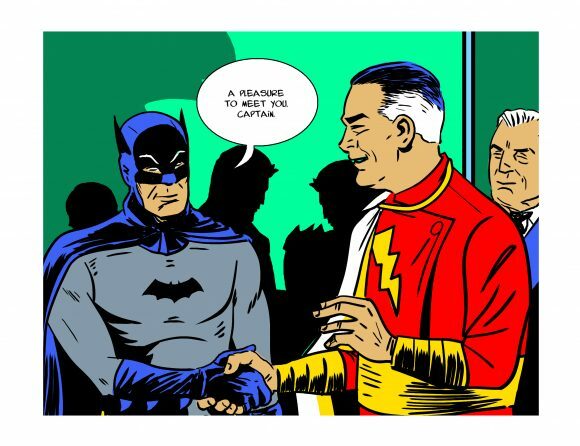 It never made sense to me that there wasn’t a Batman/Captain Marvel team-up in The Brave and the Bold back in the day (or Batman/Shazam!, if you must, DC). The editors delighted in having the Darknight Detective play against characters that were tonally in conflict. Batman/Karate Kid? 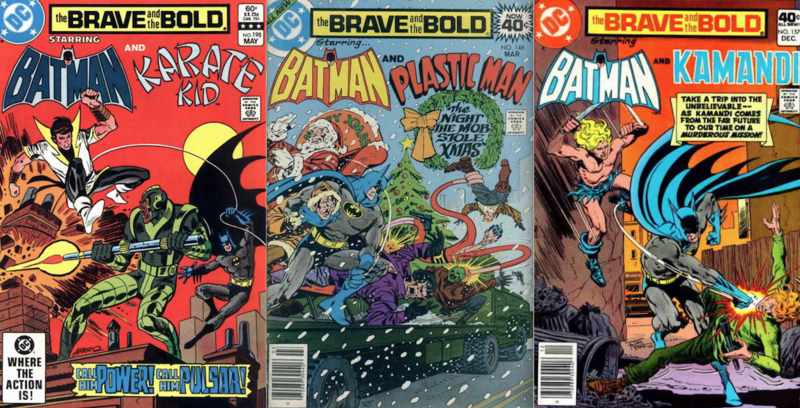 Batman/Kamandi? Batman/Plastic Man? All happened. The idea is that Captain Marvel was Gotham’s protector just as the Caped Crusader was starting out. As the series plays out, Andy says, we’ll see that he’s Batman’s Obi-Wan. 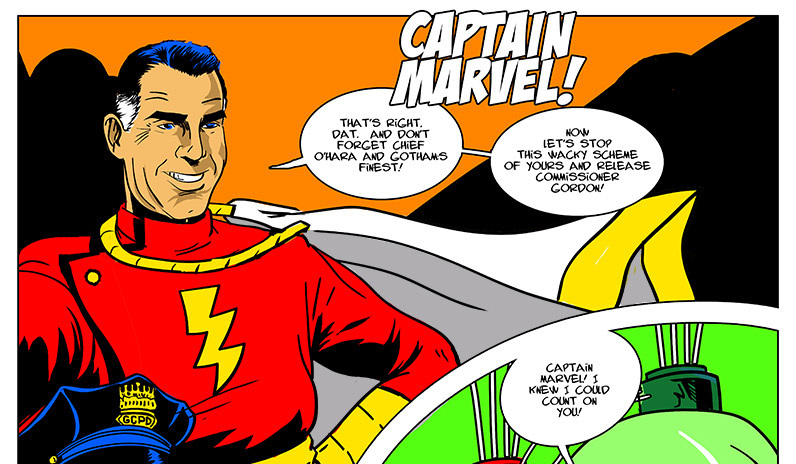 Andy’s a fan of old serials and so I dig that he managed to make Captain Marvel look like a mix between Tom Tyler, who played him in the 1941 adventure series, and Fred MacMurray, who is said to be the model for Cap’s look. MacMurray on the left, Tyler on the right. Hell, Andy could have made him look like Jackson Bostwick and I would have been cool with it. 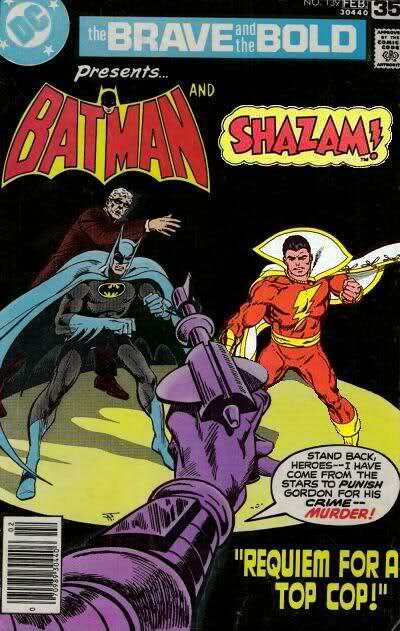 It’s just great to see Captain Marvel and Batman together, like they should have been 40 years ago. — SNEAK PEEK: The Wacky Cameos of Andy Fish’s Batman ’66 Comic. Click here. — Rob Kelly Looks Back at the 1941 Captain Marvel Serial. Click here. Captain Marvel. Captain Marvel. I’ll never call the character Shazam. That’s the wizard’s name. Figure it out DC. I don’t care what the lawyers say. This is a beautiful, beautiful thing. Thanks for bringing it to my attention, Dan! 😉 Now, if we’re talking the ’66 My Three Sons era Fred MacMurray…he pro’lly wouldn’t be flying – at least not in live action… I would totally pay $3.99 for both a standard and an Alex Ross variant on that bad boy! Take my money!